Classes are a full hour for a reason! You need to mobilize, stretch and work on weaknesses, so turn up on time to get the most out of the session. I always get told ‘I’m so nervous’ or ‘I’m so scared’ – please don't be! Everyone here is nice and supportive and the coaches are there to take you through this crazy world of training step by step! Most members should introduce themselves to you but if not don’t be afraid to get involved and meet the community! 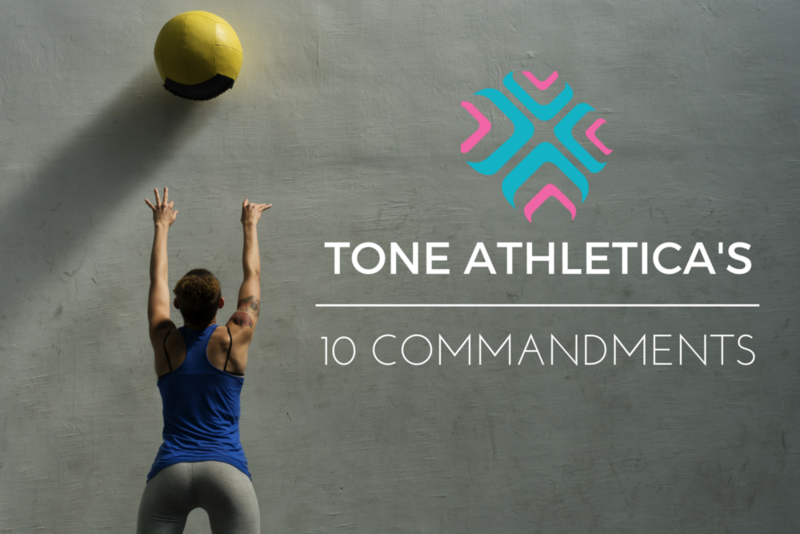 Our Tone Tribe is the reason we love training so much! Listen to your coaches and respect their word. They will be able to get you fitter, healthier and feeling better than ever. You just have to do what they say! You could be the best athlete in the world but even if you think you know all there is about training, you don’t. Don’t bring your ego into the gym that's how you get injured. Don't be afraid to regress. There is a point and once you've mastered the regression you will be stronger moving forward. 6. Push yourself every time! Make sure you work hard in every workout. This is where the results happen, when you push yourself mentally and physically. 7. Cheer everyone else on! Encourage others in workouts like they are encouraging you! If you finish a workout early, cheer and encourage others on. Whenever the workout is over, congratulate your fellow Tone Tribe on their achievements! Once the workout is over pack up your gear, wipe the sweat, blood and tears off your equipment and make sure everything is how you found it. Training can be competitive, but you also want to keep their integrity. Don’t skip reps, take short cuts or lie about your time. Completing a workout properly counts for a lot! Plus everyone hates a cheater! Most importantly have fun! At the end of the day that's what training is about. Being happier, healthier and fitter and having a great time whilst doing it!